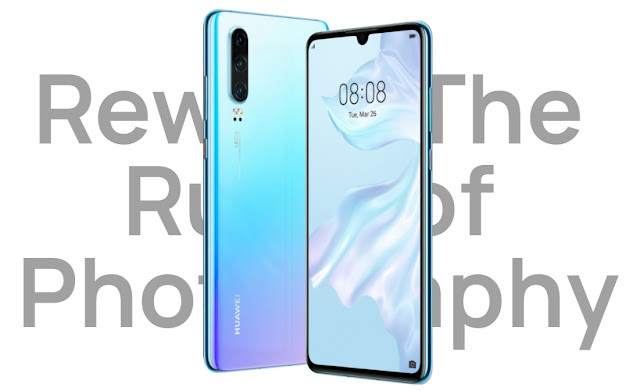 Technology-Portfolio.Net - After many leaks circulating about Huawei P30, now the company officially announces the presence of the smartphone. This device does not have a periscope camera with 5x zoom on the Huawei P30 Pro, but there are still many interesting features offered by this smartphone. Huawei P30 became the first variant of the smartphone from Huawei that uses AMOLED screen panels from Samsung. In addition, this smartphone screen also supports a fingerprint scanner at the bottom of the screen. Another key feature of this smartphone is the triple-camera setup on the back, which also supports periscope features. The screen is a 6.1-inch AMOLED panel with Full HD + resolution, high ratio and a fully flat screen. Huawei P30 is powered by the Kirin 980 chipset and comes in four RAM and storage variants, namely 6GB / 128GB, 8GB / 64GB, 8GB / 128GB, and 8GB / 256GB. In addition, there is still a microSD slot to expand storage capacity. The main camera of this smartphone is a 40 MP SuperSensing unit, the Sony IMX600 sensor with a special RYYB color filter to get the best performance in low light conditions. For other sensors is an 8MP f / 2.4 telephoto lens that has the capability of 3x optical zoom and 16MP f / 2/2 17mm ultra-wide lens, and is equipped with Leica branding under the LED flash. As for the front camera with 32MP f / 2.0 resolution, without autofocus. The rear body, Huawei P30 coated with glass, but unfortunately this smartphone does not support the wireless charging feature. 40W charging will only be on the P30 Pro, but the classic SuperCharge on this smartphone that reaches 22.5W can still charge 3,650 mAh battery fast enough. In addition, this smartphone still has a 3.5mm audio jack and for connectivity it supports Wi-Fi a / b / g / n / ac, dual-band GPS and Bluetooth 5. Huawei P30 will arrive in a choice of Black, Breathing Crystal, Aurora and Pearl White which have shades of blue, silver, pink, purple and look similar to the Twilight gradient on the P20 Pro. For the price, Huawei P30 is priced at € 800 or $ 898 USD.